Pay-TV business in Nigeria has experienced more panics in the past 12 months than it has since its inception more than two decades ago. There was panic during the earlier periods of SKS dongles, but nothing compared to the recent call-to-action by popular pay-tv providers in recent times. You are about to read two adjustments made by two leading Pay-tv providers in Nigeria. I mean Startimes paybyday vs Dstv active service suspension. Conversely, it may also have a lot to do with “TSTV AFRICA” announcement sometime is May 2016. Tstv was officially unveiled on the 1st of October 2017 even though the announcement can be dated back as far as April 2016. DStv announced and implemented something that has the semblance of TSAfricaica “pausing of active subscibtion” on 21st of september, 2017. Startimes annouced a ridiclous price slash which is evne cheaper than that of tstv africa just a couple of hours ago. We now have Startimes paybyday vs Dstv active service suspension all thanks to consumers and partly tstv. While DStv’s service suspension might be debatable, Startimes has just implemented a massive one that will further box GOtv into a tight corner. The only respite that GOtv will be having will be EPL and UCL sports on GOtv max. Startimes has just introduced a dailysubscriptionn to over 40 channels for a token of #60 daily. 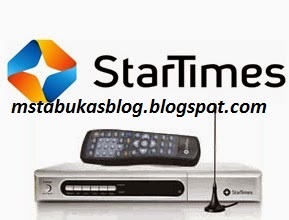 You can get the best of entertainment on startimes and mytv. The only downside to their services are EPL, La liga and UCL sports. Who knows, tstv africa may eventually steal the show as promised.